Rare Porsche Spyders, including a 20017 RS and a one-off Bertone 911 study are on offer at the Gooding Pebble Beach 2018 sale. Four rare Porsche Spyders are among the highlights of the Gooding Pebble Beach 2018 classic car auction during the annual Monterey Week in California, USA. 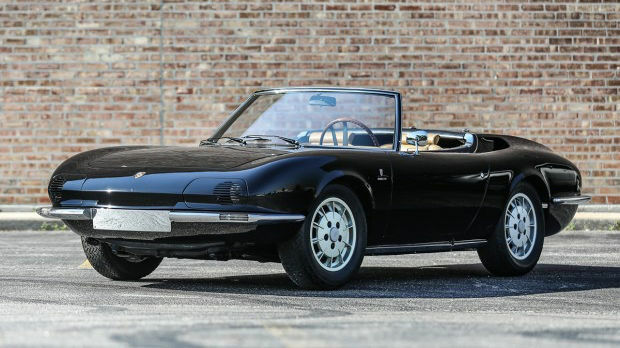 The sale will include a 1966 Porsche 911 Spyder designed by Bertone and the only cooperation between the two companies ever. 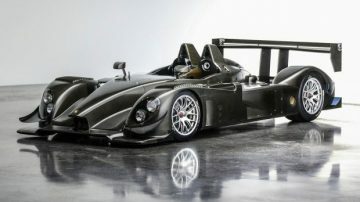 A 2007 Porsche RS Spyder will be the first of this rare model ever offered at auction. The 1955 Porsche 550 Spyder and 1959 Porsche 718 RSK Spyder come with extensive in-period racing histories. The RS Spyder is one of most successful prototype racing cars in Porsche history with consecutive IMSA LMP Championships, an overall win at Sebring, and class wins at Le Mans. The 2007 Porsche RS Spyder, chassis 9R6.706, “Estimate Available Upon Request”, is the last of six RS Spyders built for the 2007 racing season. This RS Spyder was originally sold to CET Solaroli Motorsports of Jacksonville, Florida but was not actively raced. It has been meticulously maintained with limited track time at historic events, such as the 2015 Rennsport Reunion and the 2016 Monterey Motorsports Reunion. Offered from an important private collection and presented in bare carbon bodywork, this car is a ticket to a variety of important events, including the upcoming Rennsport Reunion. Very rarely do these cars trade hands and never before has one been offered at public auction. The presentation of 9R6.706 represents a singular opportunity to acquire what is arguably the most original and well-preserved example of a historically significant, state-of-the-art Porsche prototype racing car. 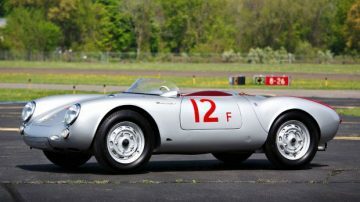 The 1955 Porsche 550 Spyder, chassis 550-0053, estimate $4,000,000 – $5,000,000, was originally owned by accomplished California-based privateer racer Eldon Beagle. This was his first Porsche Spyder – he would later go on to own and race another 550 Spyder, as well as a 550A and an RS61 Spyder. Mr. Beagle raced the car in nearly 20 races between 1955 and 1956, including the 1956 Pebble Beach road races. The current owner purchased the car nearly 20 years ago and it has remained largely hidden from public view. We are thrilled to offer this exceptional 4-cam Spyder, which ticks all the right boxes for the collector seeking a significant competition Porsche, and has not been offered for public sale in nearly two decades. Two Porsche 550A racers will be on offer during the same week at Mecum and RM Sotheby’s. Porsche built just 34 718 RSK Spyders. 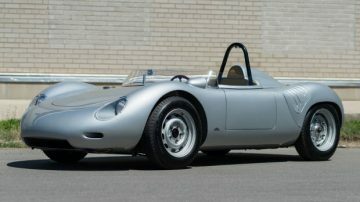 The 1959 Porsche 718 RSK Spyder, chassis 718-024, estimate $3,600,000 – $4,100,000, presents as a stunning example of a four-cam Spyder and is held in high regard among knowledgeable marque specialists. Driven by acclaimed American racing driver Ed Hugus at the 1959 24 Hours of Le Mans, this RSK went on to compile an enviable competition record, racing in SCCA events and even at the Pikes Peak Hill Climb during the early 1960s. Its impressive vintage racing pedigree, long-term ownership, and eligibility for leading historic events around the world make this a particularly attractive Porsche competition car. Customers and dealers were clamoring for an open-air version of the 911 in mid-1960s and California-based dealer John von Neumann enlisted famed Italian designer Nuccio Bertone to deliver a prototype. The car Bertone produced was displayed at the 1966 Geneva Auto Show to a warm reception, but Porsche decided to produce the 911 Targa instead. This 1966 Porsche 911 Spyder, estimate $700,000 – $1,000,000, is the only collaboration between Bertone and Porsche, and the sole example ever built. Boasting impressive provenance and offered for the first time in almost 25 years, the sale of this most exclusive Porsche may well be a once-in-a-lifetime opportunity and is certainly one not to be missed.